Facebook does its best to show you personalized posts in your news feed based on your connections and activity, but it certainly can't read your mind, so you'll undoubtedly come across posts every so often that you simply won't want to see—at least temporarily. Think about that friend who just got married, had a baby or started a new business and can't stop raving about it on Facebook. Maybe you're happy for them but you'd rather not be bombarded by their content all over your feed, so until the initial excitement of their new life event wears off, what can you do? In cases where you simply want to take a break from seeing a particular friend's or page's posts without permanently taking them out of your feed, Facebook's "snooze" feature can help. This is a feature that temporarily stops a person or page's posts from showing up in your feed for a total of 30 days (after which they'll begin showing up in your feed again). When you snooze a person or a page, you'll still remain friends or a fan of the page. If it's a friend that you're snoozing, they won't receive any notification that you snoozed them, so they'll never know. Follow the steps below to find out how to snooze any friend or page in as little as a couple seconds. Snoozing works the same way on Facebook.com in a desktop or mobile browser as it does on the Facebook mobile app. When you see a post in your feed from a friend who you want to snooze, click or tap the three dots in the top right corner of the post. In the menu that opens, click or tap the option that says Snooze [Friend's Name] for 30 days. Snoozing a page's post works the same way as snoozing a friend's posts. Click or tap the three dots in the top right corner of the post of a page you want to snooze and in the menu that opens, click or tap the option that says Snooze [Page's Name] for 30 days. Sometimes friends like to share posts made by their own friends or from pages they follow, which then end up in your feed. Posts like this will give you two snooze options—one to snooze your friend and one to snooze the person or page that's being shared. As an example, say that you love seeing your friend's posts in your feed but aren't crazy about the posts from one of their own friends that they like to share. In this case, you wouldn't snooze your friend—you'd snooze your friend's friend. On the other hand, if your friend shares a lot of different posts from their own friends or pages that they follow and you don't care to see any of their posts at all in your feed, you could simply choose to snooze your friend rather than specific people and pages they share posts from. Right after you snooze a friend or a page, a few options will appear in place of your post in your feed—one of which is an Undo option. Click or tap it if you immediately regret your decision. If you decide at a later time that you'd like to undo your snoozing on a friend or a page, simply navigate to that friend's profile or that page. On the desktop web: Look for the Snoozed button that appears in the header section and hover your cursor over the button. 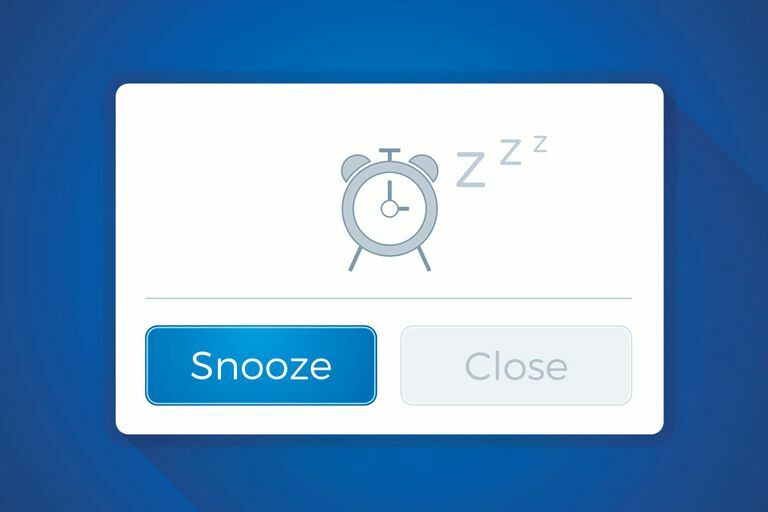 Click on the End Snooze option that appears. On the Facebook app: Tap the More button and then tap Snoozed > End Snooze in the menu of options that appear. Snoozing is a great feature for temporarily hiding friends' and pages' posts, but if you find that you want a more permanent option after the snooze period is up, you might want to try the unfollow feature. Unfollowing a friend or a page causes the same effect as the snooze feature, but permanently rather than for a 30-day period. Click or tap the three dots in the top right corner of a friend's or page's post in your feed and click or tap Unfollow [Friend's Name] or Unfollow [Page's Name]. Unfollowing means you'll still remain friends or a fan of the page, but you won't see their posts in your feed unless you visit the friend's profile or page and manually follow them again by clicking/tapping the Follow or Following button in the header. As with snoozing, unfollowing a friend does not notify them. Alternatively, if you really like the snooze feature and would rather just extend the snooze period past the 30-day period, you can simply keep pressing snooze every time the 30-day snooze period is up for 60, 90, 120 or how many days you want. There is no limit to how many times you can snooze someone, and remember that you can always undo the snooze at any time. Tired of Seeing Some Facebook Posts in Your Feed? Hide Them! Have You Been Unfriended on Facebook?